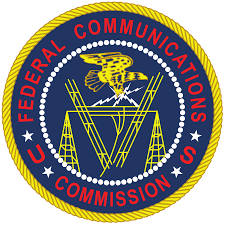 Vermont along with 30 other states are urging the FCC (Federal Communications Commission) to adopt rules that would allow telephone providers to block illegal robocalls. The FCC requested public comment on rules that would allow providers to block spoof calls that appear to be to be from a phone number other than its real number. Scammers often use spoofed calls to hide their identity and to trick consumers into believing the calls are legitimate. Currently, regulatory roadblocks prevent telecommunications companies from blocking many illegal robocalls. If the new rules are adopted, providers would be able to block calls coming from invalid numbers, unallocated numbers, and numbers whose owners have requested be blocked. In a letter sent to the Federal Communications Commission (FCC) late last week, Attorney General Donovan, and a bi-partisan group of 30 Attorneys General are urging the FCC to adopt rules that would allow telephone providers to block illegal robocalls. FEMA will be in Vermont today to access damage to six counties damaged from the June 29-July 1 rainstorms. Bennington County was added to the FEMA Preliminary Damage Assessment (PDA) request after Vermont Officials identified additional damage this week. The state has identified more than $6-million in public infrastructure damage, far exceeding the $1-million threshold Vermont must show to be considered for a major disaster declaration. FEMA staff will tour the six counties with representatives of VEM, the Vermont Agency of Transportation, Regional Planning Commissions, and individual towns to verify damage estimates. Not all towns with damage need to be visited to qualify for assistance. FEMA needs to verify enough damage statewide and countywide for a possible Public Assistance disaster declaration, and towns will apply for assistance later. Washington NH is partnering with the Red Cross to organize a Blood Drive in memory of Rich Cook. The Blood Drive is at Camp Morgan Lodge on Tuesday, July 28th from 1-6 PM. Rich Cook loved the sea, the sky, the land, and all those lives he touched. He was a dedicated community servant as a Selectman and member of the Conservation Commission and Forestry Committee. Thetford Police temporarily shut down Route 113 in Post Mills VT on Sunday after a Thetford man fired a shotgun off a deck and into a parking lot of Baker’s Store. Police said they were called to the scene of a family fight in the apartment above the store. Officers made contact with Stuart Hammond and took him into custody without incident. Hammond was cited to appear at Orange County Superior Court on July 26, to answer charges of Domestic Assault, Recklessly Endangering Another Person, and Disorderly Conduct before being transported to Dartmouth-Hitchcock Medical Center in Lebanon, NH for evaluation. Thetford police said the incident is under investigation and additional charges are possible.